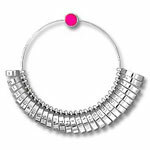 Diamond "Huggie hoop" earrings. 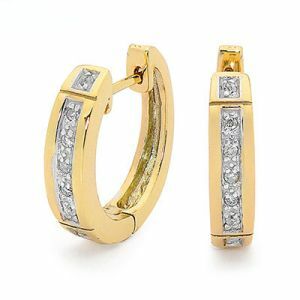 Solid 9 carat gold set with brilliant channel set Diamonds. Gemstone: 14 x Diamond J colour P2 clarity 0.005 carat. Material: 3.5 x Grams solid 9ct yellow gold.